some mornings I'll go through my inbox and have a little too much fun with the 'delete' button. typically this is after a somewhat sleepless night (little man likes to have dance parties in the wee hours), and it's all I can do to discern client emails from advertisements, what's currently on sale at gap and spam. 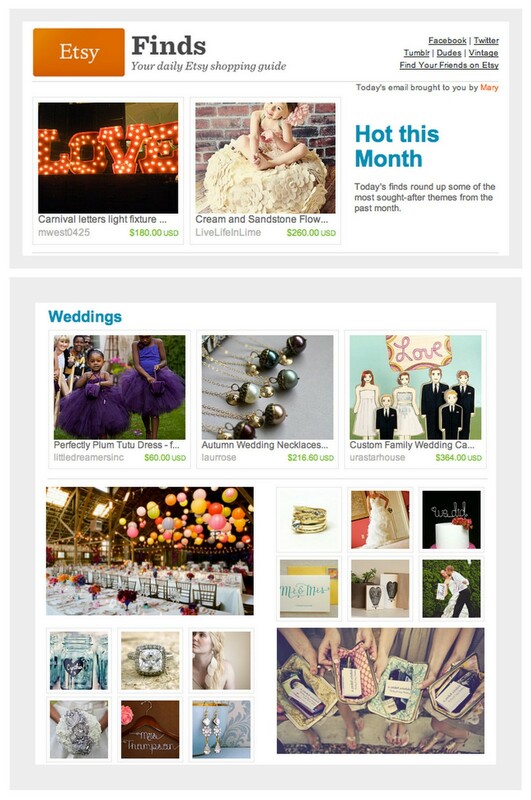 so thank you to my dear twitter and etsy pals who kindly informed me that I had been in the etsy newsletter today. I was curious as to why there was such a spike in visitors to the shop- not that I minded, of course. :) I've learned my lesson- now there is a 'cup of coffee ingested' rule implemented before attempting to answer emails. if I could just get my son to sleep...suggestions are appreciated! Congrats on the etsy feature!